New Music Matters: Gotye vs. GLEE -- Is it still good pr if you're whining about it? 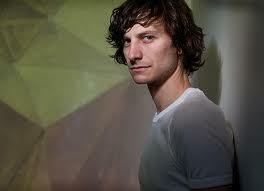 Gotye vs. GLEE -- Is it still good pr if you're whining about it? With Gotye's hit "Somebody That I Used to Know" still all over the airwaves and in the top ten of VH-1's "Top 20 Music Video Countdown," the artist is riding the wave of being a music sensation. The song caught my ear on KCRW last summer and is worthy of the cross over attention, with its eclectic instrumentation and soaring male/female vocals. Gotye's release Making Mirrors (which I reviewed for BUST Magazine when it came out last January, finding it uneven and a bit all over the place) is now #7 on the Billboard 200. To complete the ascension, Gotye performed on Saturday Night Live April 14th, complete with a spoof of the artistic video. But after selling the song to GLEE, Gotye commented in how he was not happy with the production as reported by SPIN, liking it to "hearing it from a cardboard box." How could he not be surprised that the vocals were given the pop vibe as standard for the show about high school drama nerds? I'm sure he was paid handsomely for the handover too. Even though I watch the program to revisit my own high school musical days, it was a bit cringeworthy with the duo changed from a heated exchange between ex-lovers to emotionally challenged brothers (Darren Criss and guest star Matt Bomer of White Collar). Later in the episode, there was a similar feeling with the Givers' buoyant song "Up Up Up" flattened out almost beyond recognition. Yet when the show returned to decades old music in the recent Saturday Night Fever based episode, its audience wasn't as enthusiastic -- there was a vote of no confidence with a drop in sheer numbers. As for Gotye, he backed off his remarks in a recent performance as covered in The Hollywood Reporter, calling the whole thing "clever." Clever move indeed, but is it too late to quell the media backlash? New Song from The Dandy Warhols "Sad Vacation"